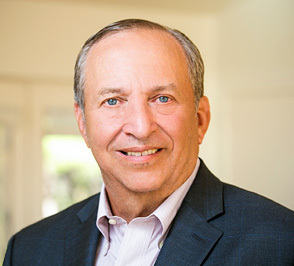 Policy makers need to heed the message from global commodity and stock markets that “risks are substantially tilted to the downside,” said Summers on Bloomberg GO on January 13, 2016. Markets around the world have been thrown into turmoil so far this year, as concern mounts about China’s slower growth prospects and its central bank’s ability to manage a transition into a more service-driven economy. The slowdown in China is also expected to prolong a slump in commodities, with oil dipping below $30 a barrel for the first time in 12 years on Tuesday. Fed policy makers’ latest median projections issued in December implied the central bank would raise the benchmark interest rate by one percentage point this year. The Fed boosted rates last month for the first time since 2006, and indicated further moves will be gradual. Summers also said there is a “significant risk” that within the next two years, Fed policy will have to reverse. The world economy is “riding heavily” on the U.S., which “is not without its own fragilities,” he said. The right posture is being ready, including increased fiscal spending, if things slow down in a meaningful way, he said. Even as the labor market has been the strongest part of the world’s largest economy in recent months, wages have been slow to accelerate. Meanwhile the energy industry is being squeezed by plunging oil prices at the same time a strengthening dollar, which makes American-made goods less competitive in the global marketplace, has hurt manufacturers. There’s a “real prospect” that the China slowdown will spread, other emerging markets are facing an “almost a perfect storm of problems” and deflationary forces are gathering at a time the world is already in danger of being “demand short,” Summers said. Summers has been warning that the U.S. and many other industrialized countries are mired in an era of “secular stagnation,” referring to an extended period of little or no economic growth. The condition is characterized by lackluster demand and too much supply. With real interest rates lower now than three or four years ago, the question is whether this is about the legacy of the financial crisis or a new situation to which the U.S. needs to adapt, he said. That doesn’t mean the country won’t ever have growth or periods of cyclical expansion, Summers said. The baseline scenario “is a more deflationary, more sluggish” one than in the past.